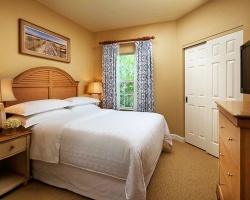 Optimize your comfort and quality of vacation in the beautiful tropics of South Carolina. With the beautiful Atlantic Ocean right down the road from the resort and some unforgettable golf courses surrounding the area, you’ll truly be in paradise at the Sheraton Plantation Myrtle Beach. And paradise is completely affordable through SellMyTimeshareNow.com; we have timeshare resales and rentals available at up to 70% off the developer’s price! The Sheraton Broadway Plantation resort is the perfect escape from everyday stresses at a calming beachside location. The Atlantic Ocean is only a mile down the street, so spending time at the beach is simply a short walk away! This Myrtle Beach resort is also located across the street from Broadway at the Beach, a shopping center and entertainment complex that is South Carolina’s most desired travel destination. You’ll find some of the best restaurants and nightlife right on the strip! 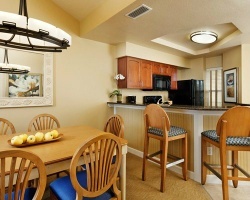 Back at the Broadway Plantation property, you can enjoy countless resort features. Play basketball on the courts, set up a game of tennis with you and a loved one, or sunbathe next to the swimming pool in the comfortable lounge chairs. If you brought the kids along on this vacation, take them over to the mini golf course, or have them splash around in the enormous pirate ship! Sheraton Broadway Plantation is a peaceful, quiet community, but also knows how to share its fun side! Interested in learning more? Fill out the form on the right or give us a call today at 1-877-815-4227 for more information from our Sheraton Plantation Myrtle Beach timeshare resale specialists. Sheraton Broadway Plantation rentals and resales offer the same modern conveniences and luxurious amenities that are offered to owners who bought directly from the developer, but are sold at a fraction of the retail price. That’s because you’re buying directly from the current owner, which means you’re skipping the cost of hidden fees that might be added into the price by the developer. The asking price of a Sheraton Broadway Plantation timeshare resale is a fair and accurate estimate based on the current trends of the resale market. Buyers have the ability to purchase a fixed or floating week-based ownership. Weeks are available in the Silver, Gold, and Platinum seasons, and usage can either be available annually or biennially. When your property is right on the beach and the warm South Carolina sun is beaming down on you virtually all year long, any time is a great time to vacation at Sheraton Plantation Myrtle Beach. 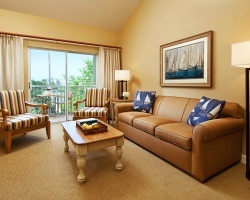 Sheraton Resorts, including the Broadway Plantation, are part of the Starwood Vacation Ownership network. The recognized resort brand features a catalog known for their luxurious, cost-efficient properties located all over North America and the Caribbean. Sheraton Broadway Plantation timeshare resale owners will be pleased to know that when purchasing their property, they’ll be receiving an ownership experience like no other that’s completely affordable. Learn more about Starwood at our information center. One of the greatest perks of being a Sheraton Plantation Myrtle Beach timeshare owner is the ability to access the two largest external timeshare exchange companies, RCI and Interval International. Memberships to either company are available at an additional cost, and you'll have access to thousands of resorts worldwide simply by submitting your timeshare week into the exchange pool. Sheraton Broadway Plantation has a Gold Crown Rating at RCI and is a Interval International Premier Resort, which means they have different values at either company. 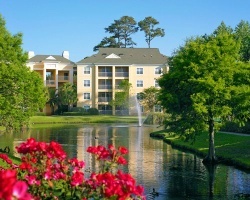 At Broadway Plantation, you can find privacy and relaxation only a moment away from the thrill of central Myrtle Beach. Head to Broadway for a show at the Palace Theatre, catch a ballgame over at Myrtle Beach Pelicans Stadium, or eat any one of the broadways fine eateries. Head on over to the beach to laze around on the warm South Carolina sand or stay proactive with wind surfing, water skiing, or boating! After a long day out, retreat back to the Broadway Plantation for a cozy night in. Kick back and decompress in the resort’s hot tub, have a couple of cocktails over at the pool bar, or go for a ride around the resort’s lazy river. After that, return to your beautifully appointed Sheraton Broadway Plantation timeshare resort and get some rest in your luxury suite for a brand new day of fun and relaxation. Already Own at Sheraton Broadway Plantation?